When it comes to visibility on the job site, why take a gamble? Instead, stay safe, and go with the materials that have been extensively tested for their visibility. Why not go with the choice that meets all of the industry standards. 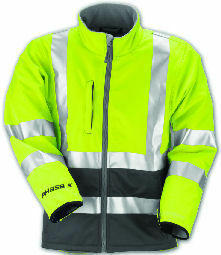 Tingley’s Phase 3 High Visibility Jacket meets ANSI 107 standards. 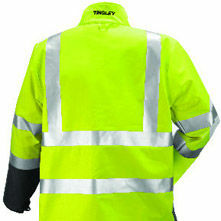 That makes those who wear these high visibility jackets less likely to be injured or killed by a passing automobile or work equipment. The yellow-green background materials make for excellent daytime visibility. In addition to keeping you safe, these hi visibility jackets provide a great deal of comfort, to help you get through a long workday. The athletic apparel design and performance is adopted for work environments. A stretch fabric with inner fleece layer in these jackets provides warmth and comfort for the coldest and wettest of workdays. These jackets thrive in diverse weather conditions. 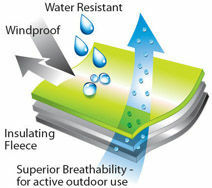 They’re made from a 3-layer material that works to keep you warm and dray, yet cool and comfortable. This works to ensure that you stay comfortable no matter what season it is. Those who work outdoors all day are rough on clothes. The charcoal gray front also helps you to conceal dirt. 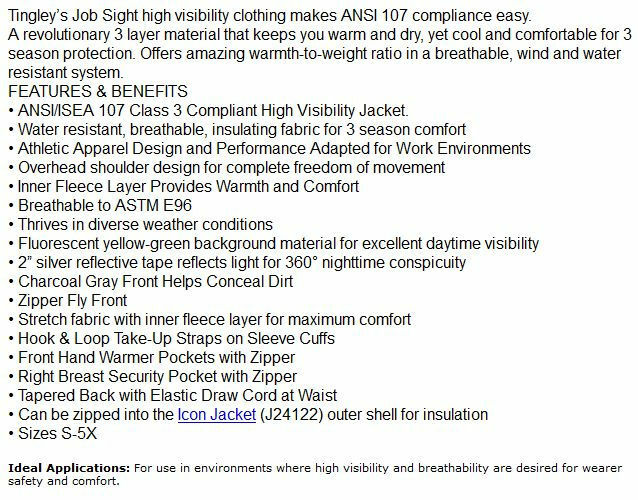 There’s a right breast security pocket with a zipper on these hi visibility jackets, to keep your belongings safe. There are also hand warmer pockets, ideal for those colder days. 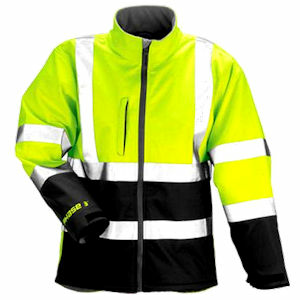 This hi visibility jacket provides the ultimate combination of safety and comfort. If you spend any time at all on the job site, order yours today.